Ohhh yeah, baby!! 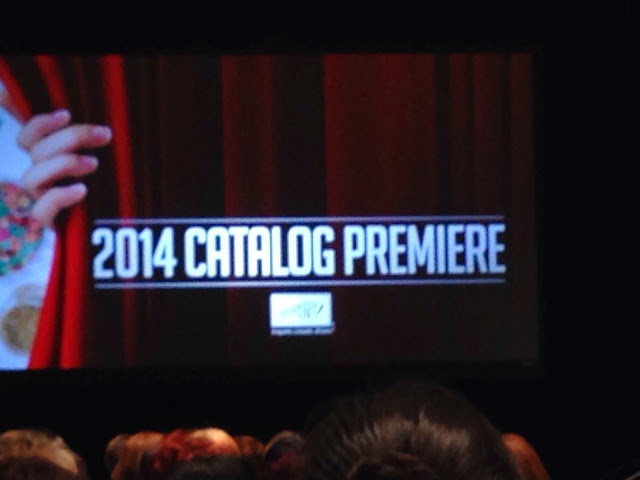 I was sooo excited to be invited to join the 2104 Catalog Premier in a Red Carpet Event held by Stampin' Up! With a week to plan my wardrobe (there are so many options!!) 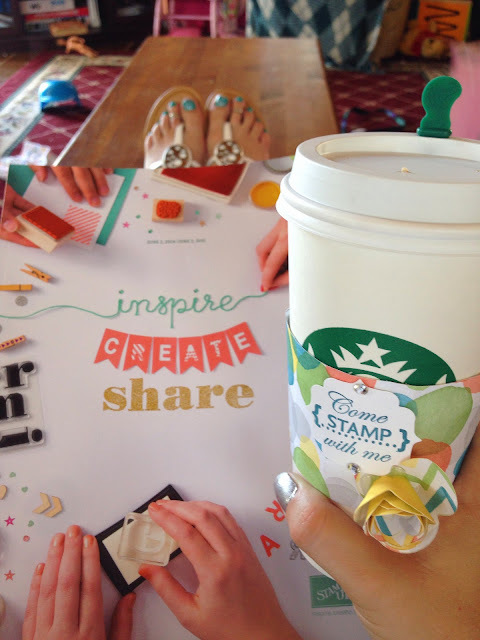 and a road trip with my stampin' team... I was over the moon. Throw in the NEW CATALOG - coming out in June... my excitement was palatable!! So Join Me in this snippet of the fun we had... sadly, I can't share what all that we saw or brought home... not on my blog and not yet. 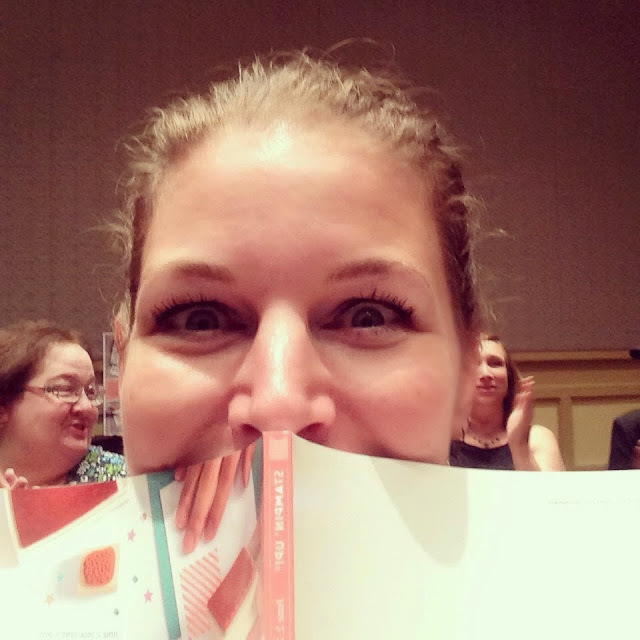 JOIN ME and see the new Catalog at an upcoming event or schedule a time to see the goodies inside (and what we brought home). 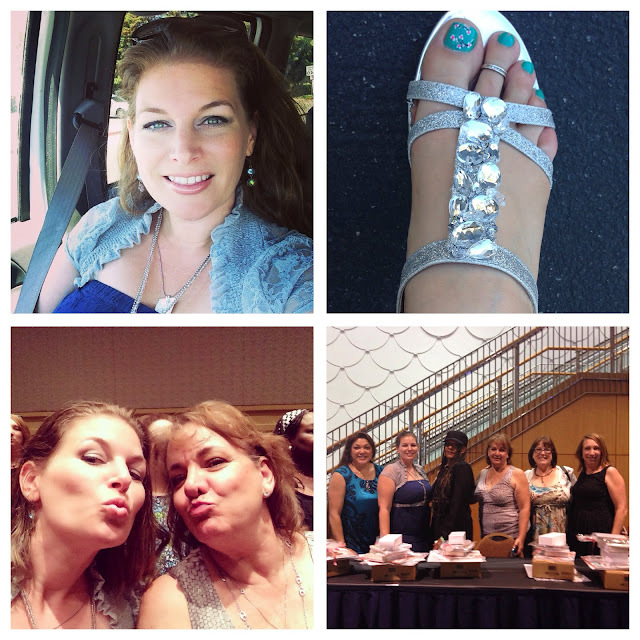 The road trip to Long Beach had me meeting up with my stampin' sisters in Encino.. where we lunched and loaded into my car for this fun adventure!! The CEO, Shelli, and staff presented - even handing the goodies out personally!! DID YOU See the Fun we were having?? FOLLOW ME on Facebook, Instagram and Twitter and be in the know!! I'm IN-LOVE! First, the catalog is probably one of the best lay-outs I've seen in a decade! 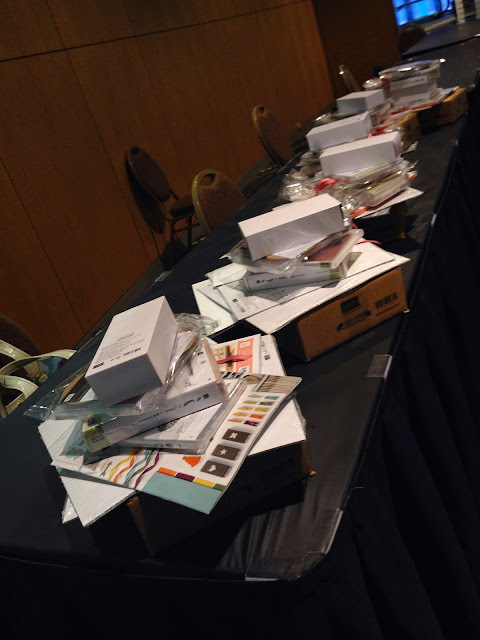 Then it's filled with beautiful collections, variety of styles and new tools... let's just say that I'm over the moon!! EEEEK!!!! Those who attended the event for the Red Carpet (in Long Beach) came home with a BOX of the New Catalogs, four stamp sets, two papers, craft collection... sigh... a dream!! So SIGN UP for an event and be the FIRST to see the goodies - up close and personal!! Loaded up, I was so busy having fun, on Facebook with my team giving sneak peaks (they were so bummed to miss out on this amazing event) and then posting the fun on Instagram, Twitter and Facebook... it was a great night and we scored an amazing collection to play with!! Having gotten home at 10pm, a 9 hour adventure on top of my regular mom and volunteering activities... I was a tuckered out girl!! Today was a coffee must as I delved into the new catalog!! Go ahead, come and stamp with me... the fun has just begun... and it's waiting for YOU! !